Jason Fenstermaker is PGA member. 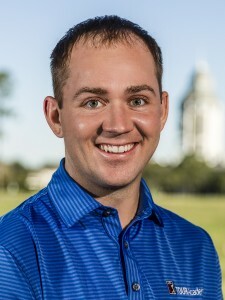 He graduated from Coastal Carolina University with a Bachelor of Science in Marketing/ Professional Golf Management Program. Jason is the Operations Manager for the PGA Tour Academy at the World Golf Village. Along with teaching, Jason is the full time club fitter, working with the top club brands in the industry. His personal teaching style focuses on all aspects of the golf swing, helping each student reach his or her goals. He enjoys working with all ages and skill levels.